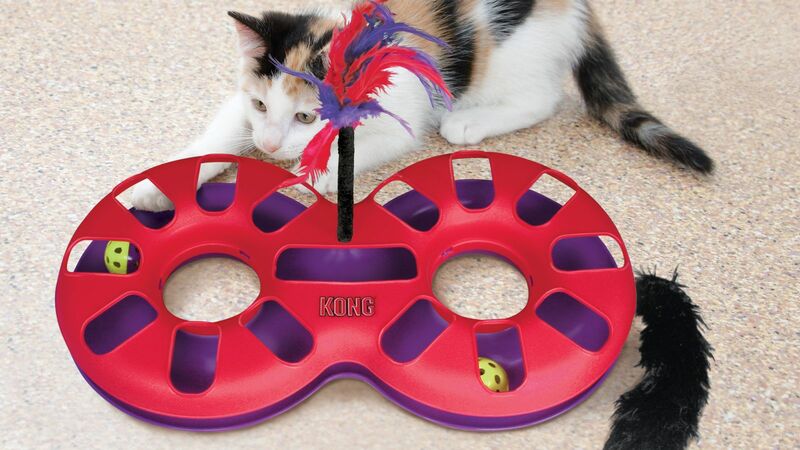 The KONG Eight Track provides a fast track of fun for kitty’s that love to bat and pounce. Two rattling balls zoom around the paw powered course firing up natural hunting instincts of batting fun. 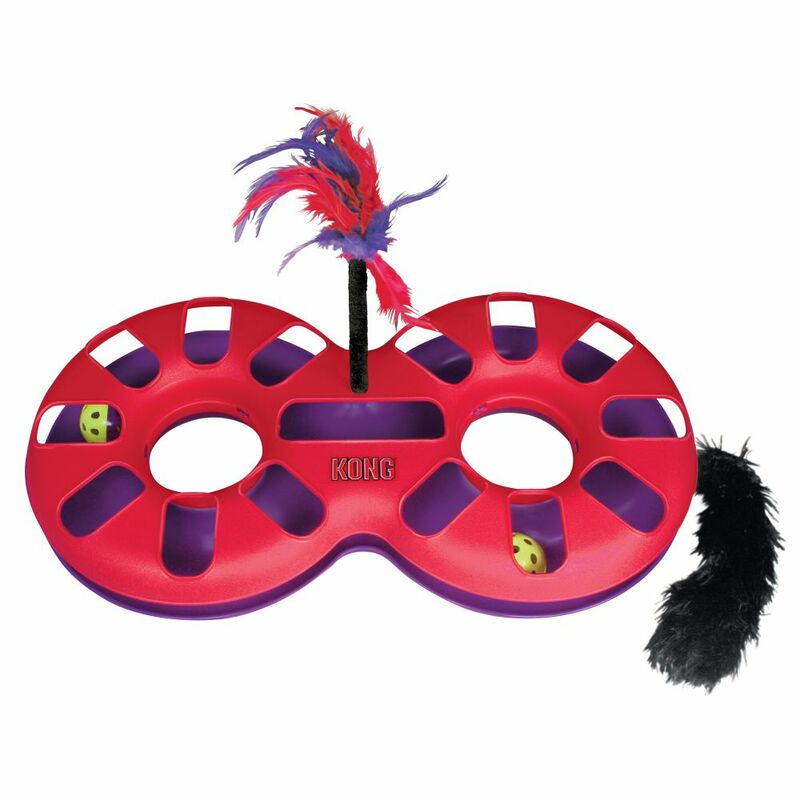 The fluffy Kickeroo tail and feather plume ignite a kitty’s desire to bat pounce and kick. 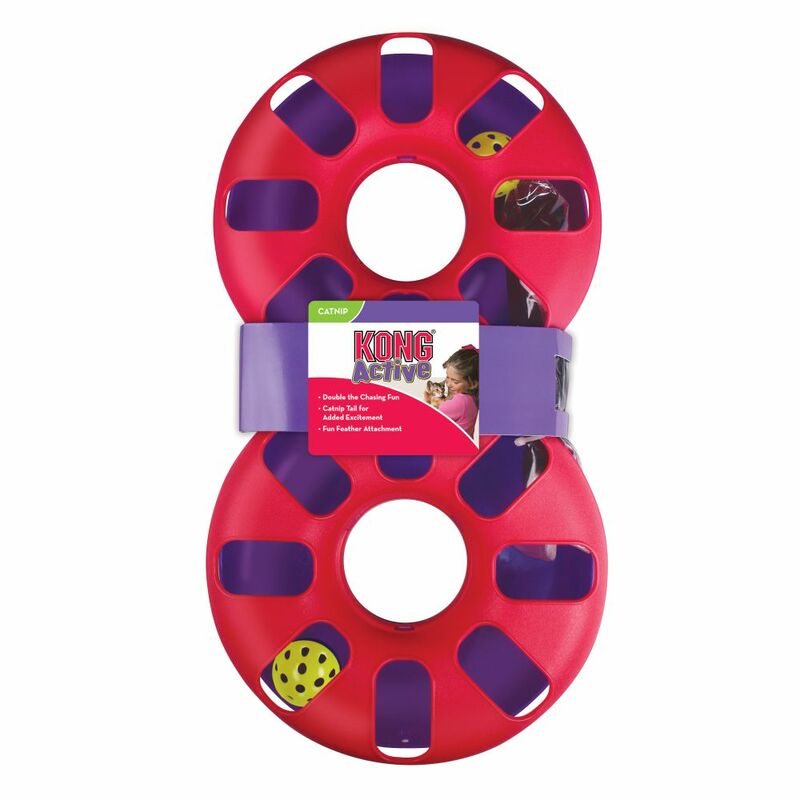 A healthy dose of KONG North American Premium catnip extends play sessions adding up to independent play sessions that are sure to delight.